Get the BEST of BrillKids at a VERY SPECIAL price (for a limited time only!) - . :Early Learning Community:. Sent last Nov 01, 2018 | Return To BrillKids! We're getting in the holiday spirit early this year - our Value Bundle 2 is now available at a special price of $299. Value Bundle 2 originally retails for $449, so that's a great discount! Value Bundle 2 includes the award-winning combo of Little Reader Basic, Little Math Basic and Little Musician Basic. All three Basic kits come with lifetime access to PRO software features (so you can customize or make your own lessons) and a 1-year premade curriculum. 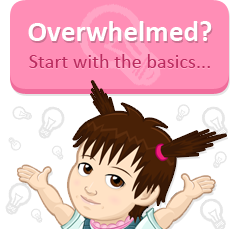 Little Reader Basic comes with the US or UK English Curriculum. This special Value Bundle 2 discount is available for a limited time only, so visit the BrillKids Shop today! This special discount applies only to Value Bundle 2 (Little Reader Basic + Little Math Basic + Little Musician Basic). No adjustments can be made on prior sales. BrillKids reserves the right to change this promotion at any time. Offer available only to purchases made at the BrillKids Online Store. All Content © 2018 BrillKids Inc. All Rights Reserved.